This post will be somewhat more personal. Since I want to be a living example that you can actually create the life of your dreams. Or at least enjoy the process of achieving this. One of my strongest beliefs is that you’re the director of your own life. If you don’t have a plan, you can be sure that someone else will have one for you. And although it’s true that we can’t always control what happens to us, I strongly believe we can always choose how to respond to these events. 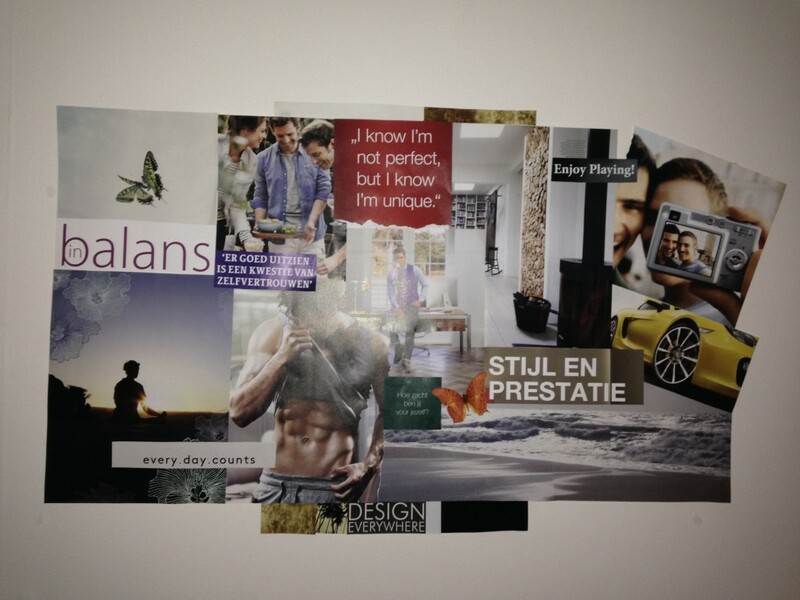 At the beginning of each new year, I make a vision board to support my goals for the upcoming year. Since one image can communicate more that a thousands words. The picture above is my actual 2016 mood board. And I had this hanging on my bedroom wall*, so it was the last thing I see when I fall asleep at night and the first thing I see when I wake up. This helped me create a clear picture in my mind for all the things I set out to achieve. The Reticular Activator System, or RAS, is the part of your brain that acts as a natural filtering device, which allows those things you see as a benefit or a threat to become a part of your awareness. You’ll probably have experienced this before. For example when you last bought a new car, you’ll probably have seen several identical cars as you drove home from the garage. You’re aware of these cars now because it matters to you. Once you have a clear picture in your mind of what you’re after, you can more easily obtain it. Because it passes through your filters better. So you can grab the opportunity faster, once it arise. And because of what you want, you can articulate your wishes and desires more clearly – so the universe, or your building contractor can deliver it to you. This way thoughts really do become things! * I’ve written this sentence in the past-tense, because my mood board is currently in storage, because I’ve just moved in my new home. Try it out – this really works like magic: my new office almost has the same view as the one on the picture. Thanks to my RAS system, it was on my radar.